Jimmy Fallon! Liev Schriber! Susan Lucci? 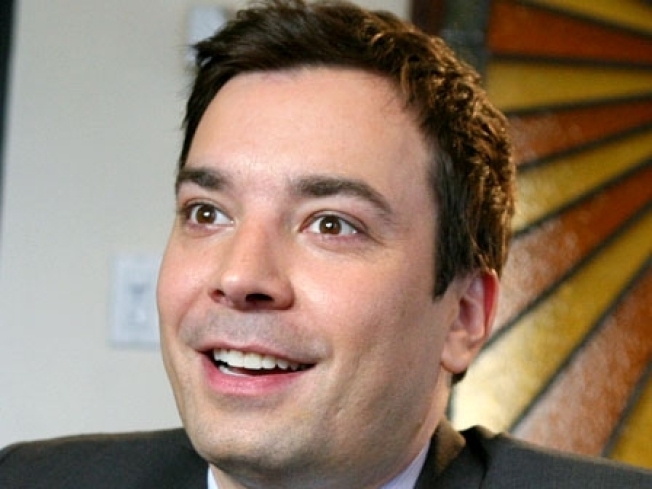 Jimmy Fallon joins the NYT Arts & Leisure Weekend interview lineup. It’s that time of year again – when, after the bacchanalia of booze and revelry that are the holidays, the Times’ four-day marathon of interviews with luminaries of the arts and leisure world refocuses us on what really matters in NYC: Overachievement! From January 7 through 10, Carrie Fisher, Padma Lakshmi, Jimmy Fallon, Eric Ripert, Liev Schriber and many more will sit down with notable journos of the Times at TheTimesCenter and give us a peek into their creative processes. Head to artsandleisureweekend.com for tickets, and see the full lineup below. All TimesTalks will take place at TheTimesCenter, 242 West 41st Street. Tickets are $30 for each interview, plus a service fee. Special opening-night conversation performance. A look inside the creative process of the 25-year-old worldwide entertainment company’s new show opening Feb. 4 on Broadway: “Banana Shpeel: A New Twist on Vaudeville.” Featuring writer-director David Shiner, choreographer Jared Grimes and dancers from the cast. Interviewed byJason Zinoman. The Grammy-winning musical director and bandleader for late-night host David Letterman, and before that, “Saturday Night Live,” talks about his work and the experiences as revealed in his new memoir, “We’ll Be Here For the Rest of Our Lives.” Conversation with performance. Interviewed by Jon Pareles. The Grammy-winner singer-songwriter on “The List,” her latest album of the essential American songs her father, the legendary Johnny Cash, gave her to learn. Conversation with performance. Interviewed by Jon Pareles. The host of NBC’s “Late Night with Jimmy Fallon” on the first year of his show, what it’s been like to follow Conan, his six years creating characters on “Saturday Night Live” and more. Interviewed by Bill Carter. Award-winning actor of stage and screen on acting and directing for film and TV, and on his upcoming starring role on Broadway in the revival of Arthur Miller’s “A View from the Bridge.” Interviewed by Lynn Hirschberg. The director and star of the award-winning new indie film “Precious: Based on the Novel ‘Push’ by Sapphire,” also starring Mo’Nique and Mariah Carey, on making the remarkable, relevant movie that has everyone talking. Interviewed by Patricia Cohen. The top talent behind the hit television reality show discuss what makes a winning chef. Interviewed by Frank Bruni. Best-selling authors discuss their latest books – “Gone Tomorrow” and “Bone by Bone” – and creating characters like crime-fighting ex-MP Jack Reacher and New York police detective Kathy Mallory. Interviewed byJanet Maslin. The Scots-American Tony Award-winning actor, performer and writer discusses coming to Broadway in “Spiderman the Musical” and to film in “The Tempest.” Conversation with performance. Interviewed byPatrick Healy. The Gotham 2009 Tribute Award winner talks about acting, writing and directing, and producing for three different films this season, including her critically acclaimed performance in Jim Sheridan’s “Brothers.” Interviewed byPatrick Healy. The legendary stage, screen and television actress — winner of a record five Tony Awards and now starring in “A Little Night Music” on Broadway— discusses her musical training and influences. Interviewed byAnthony Tommasini. Creator and head writer, actors, and executive producer of ABC’s “All My Children” discuss the daytime drama launched in 1970 and life in PineValley over the past 40 years. The discussion features readings from the show’s groundbreaking scripts. Interviewed by Jacques Steinberg. Pulitzer Prize-winning playwrights produced at Manhattan Theater Club discuss their experiences in the theater, with readings from the new American Theater Wing book “The Play That Changed My Life.” Interviewed by Robin Pogrebin. The Golden Globe award-nominated actor (“Atonement,” “Wanted”) discusses his career and appearing with Helen Mirren and Christopher Plummer in the new film “The Last Station.” Interviewed by Melena Ryzik. The author and star of the autobiographical Broadway show now at Studio 54, “Wishful Drinking,” based on her memoir of the same name, talks about the ups and downs of her life in Hollywood. Interviewed by David Carr. The star of the new film “Crazy Heart” discusses creating the character of hard-living country music singer Bad Blake, his career in film, and his experiences in such memorable movies as “The Big Lebowski,” “The Fabulous Baker Boys” and many others. Interviewed by Lynn Hirschberg.